Well folks, the hour has finally come. It’s no surprise that this time of year exudes a spirit of gift-giving, and we couldn’t be more excited to help you unwrap a very special present from us to you: Monitor’s Bounty. 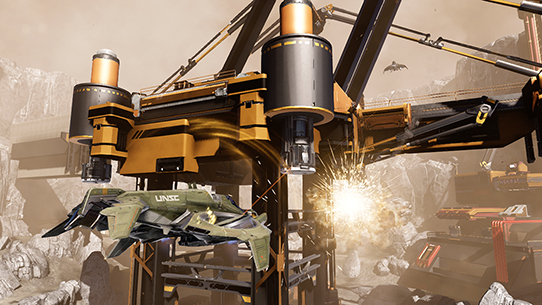 Halo 5’s latest content release is an epic salvo of experience-enhancing additions, from new weapons, armor, and skins, to brand new ways to build and play, all alongside the biggest Forge update ever seen in a Halo game. In fact, we've got so much in store that we've split up the reveal across two days. Today, we’re excited to begin our bountiful breakdown of everything that’s in store for your hungry hard drives on Thursday, Dec. 8. That’s right, baby – the day after tomorrow. Be sure to return to Waypoint tomorrow for deep dives into Forge, Canon Fodder, Warzone, and Playlists. To kick off this party, let’s take a look at all the free REQ items heading your way in Monitor’s Bounty. Check back tomorrow for Grim's Canon Fodder for a deeper look at the fiction behind many of the new REQs included in Monitor's Bounty. For now, here's a preview of a sweet new assassination, "Inevitability." Vincent: We know getting a full fireteam together to run customs isn’t always easy, and while Looking For Group is great for appointment gaming, sometimes you just want to jump in and discover something new. 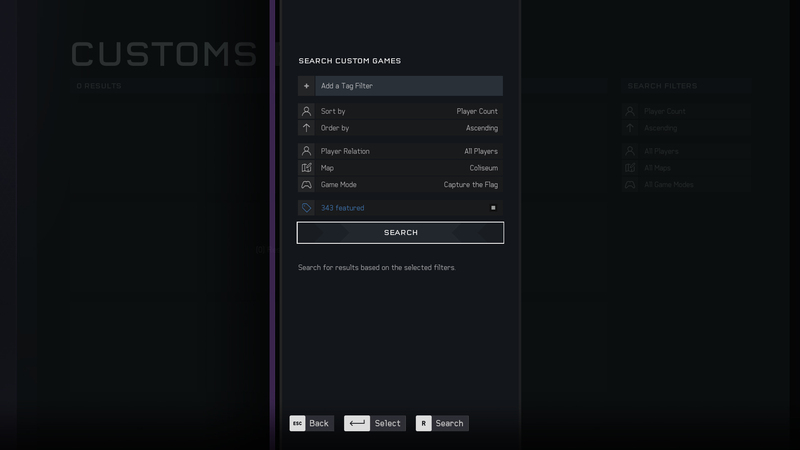 The new Custom Games Browser enables you to search for in-progress games from the main menu. Games you can join are based on their privacy settings when they are created in the lobby. We’ve also updated the Content Browser so that if you find a map or mode that you like, you’ll be able to browse for in-progress custom games from that file’s options. 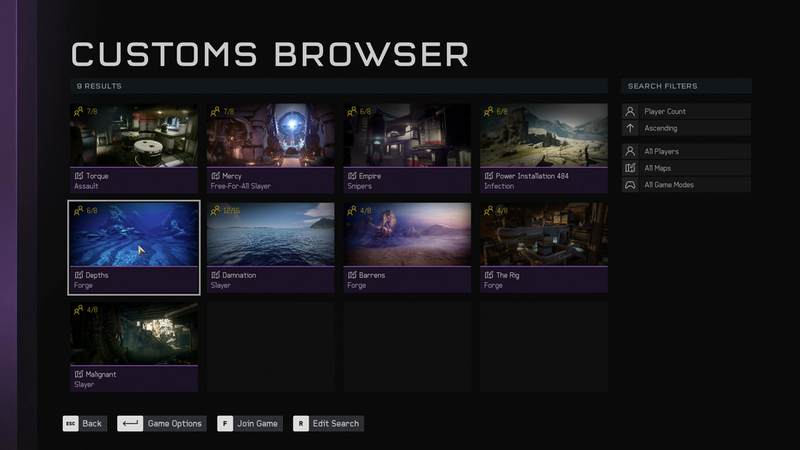 With the addition of the new Custom Games Browser, players now have access to the entire Halo 5: Forge and Arena multiplayer experience on Windows 10, completely free of charge. 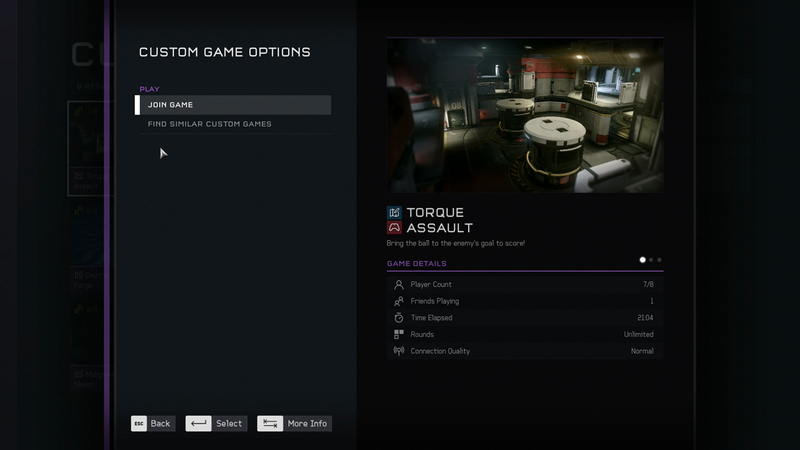 Though it doesn't include Matchmaking, Halo 5 on Windows 10 will now make it possible to find and play games with friends and strangers alike in addition to having full access to an ever-expanding, incredibly robust Forge game and map editor. Build, share, and play Halo 5 on your Windows 10 PC for free and unleash the new functionality of Halo 5: Forge to create brand new experiences when Monitor's Bounty is released on Dec. 8. 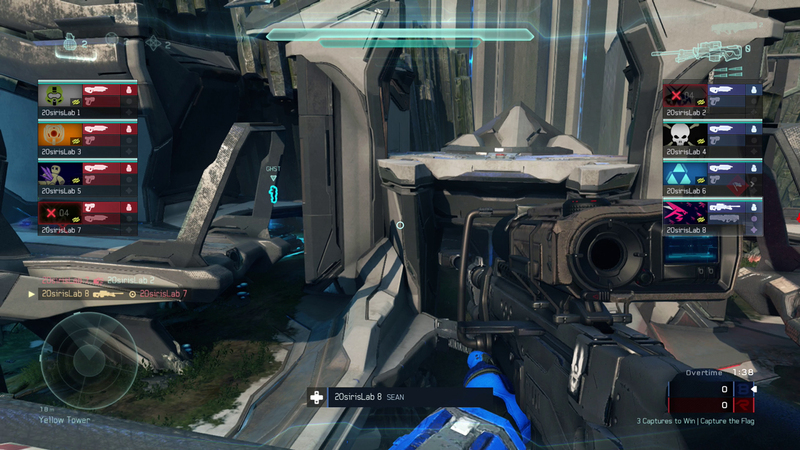 Vincent: For the 2016 Halo World Championship, we unveiled an in-game overlay known as the Observer HUD that showed the status and weapon details for all eight players in the match. It was a great tool for viewers and casters to see how many players were on respawn and who had Power Weapons and Power-Ups. Not bad for a weekend prototype by Jeff Christy, Gareth Lough, Sean Walsh, and myself that Chris Lee allowed us to slip into the build just before the event. After the tournament, we moved onto other fun things, and we haven’t had a chance to get back to this pet project until now. It’s a long journey to go from prototype to shippable feature, so for this update we’re excited to give everyone a chance to use it as part of Observer Mode. Observer Mode enables any user in a Custom Game lobby to enter the match as an observer. Unlike spectating, observers don’t have to wait for a film to be available – just create a Custom Game or join a fireteam in one, change your team affiliation, and watch the match in real-time when it starts. You’ll see what the other players see since you’re in the same game and connected to the same dedicated server. Most camera controls are available along with player outlines and observers can toggle the Observer HUD on or off. The overlay supports up to eight players and two teams so it’s great for Doubles, 4v4 Arena, or Free-for-All (and not so great for your awesome 1v2v3v4v5 multiteam version of Strongholds…sorry). We hope this opens up new possibilities for players to cast games, stream cool game modes, and run online tournaments without disrupting those playing the game or waiting for the film to be accessible. Observer Mode will be coming to Halo 5: Guardians on Xbox One on Dec. 8, 2016. In conjunction with the release of Monitor's Bounty comes the all-new "Voices of War" REQ Pack for Halo 5. This new premium addition brings three all-new multiplayer announcers into Halo 5 to liven up your Arena and Warzone matches featuring commentary from Spartan Buck, 031 Exuberant Witness, and Yabda the Merciless. It’s important to note that unlike everything else coming in the massive Halo 5 update, this particular REQ pack is not free – it’s a premium purchase that will be available for $9.99, which includes all three announcers. These will appear in Spartan Customization as a new setting, allowing you to select which announcer you'd like to use (including switching back to the classic MP announcer whenever you feel the need). 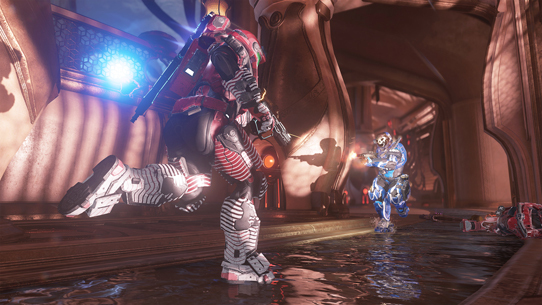 Spartan Buck: "Warzone Victory" | "Perfect Defense" | "Assault"
031 Exuberant Witness: "Initiating Slayer" | "Snapshot" | "Excellent Diversion"
Yabda the Merciless: "Warzone Welcome" | "Unbelievable!" | "From the Grave"
With the release of the Monitor’s Bounty content update, the team has added a new feature to the game’s REQ System. 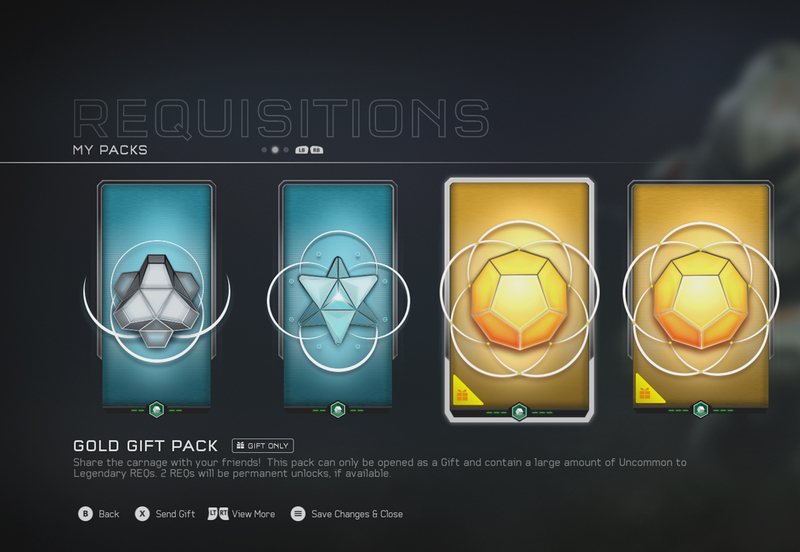 While it’s technically not new content, the new gifting system is still noteworthy and in need of some explanation, particularly as you log into the game on Thursday, Dec. 8 and find yourself in possession of a brand-new gift-able REQ Pack. To help familiarize the community with this new feature, all Halo 5: Guardians players will automatically receive a Gold Gift Pack in their REQ Inventory that can only be gifted to someone else – you literally can’t open it yourself. So help celebrate the release of Monitor’s Bounty and the upcoming holiday season by sharing some Gold Pack love with your favorite Halo 5 friend! On Dec. 8 everyone will receive a special "GIFT ONLY" Gold Pack that can only be given away to someone else! 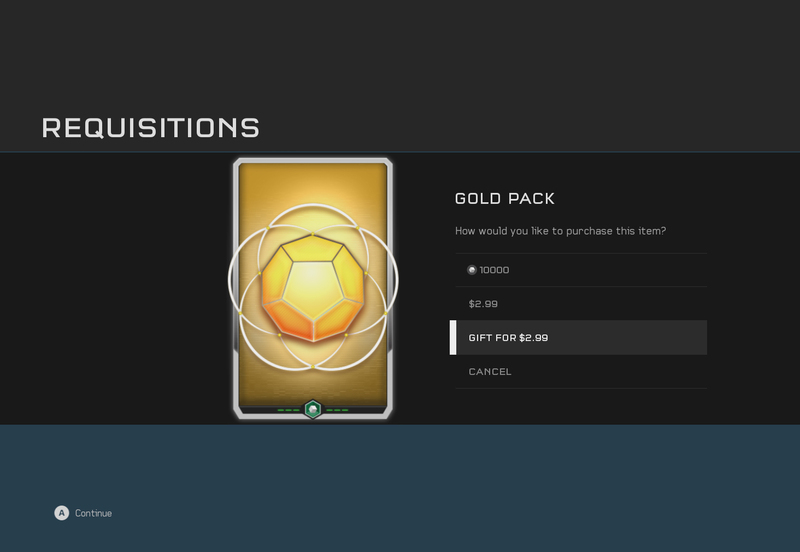 REQ Gifting gives Halo 5 players who are Spartan Rank 5 or higher a new choice when purchasing Gold Packs from the Marketplace store. Are you buying a Gold Pack for yourself or would you like to gift it to someone else? Note that gifting is currently only applicable to Gold Packs purchased for money via Marketplace, not packs purchased using in-game RP. REQ Packs that are able to be gifted will be clearly noted with a “GIFTABLE” icon next to the purchase price. This currently only applies to Gold Packs. Why can't i gift other REQ packs or gold packs purchased with RP? We know players who have amassed massive stockpiles of RP would love nothing more than to help spread that love amongst their friends but after reviews with the Xbox Live Enforcement Team, studying examples of similar systems in the wild and consulting a variety of experts, concerns over a multitude of potential scams and exploits led to the decision to limit this new feature to real-money transactions only. Further, Gold Pack Gifting is only available to players once they’ve reached Spartan Rank 5 or greater in Halo 5: Guardians. 1. 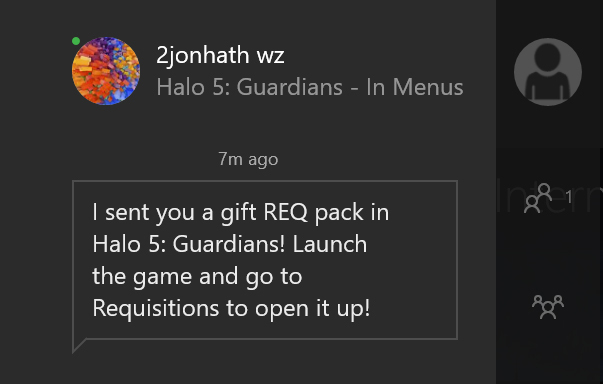 Go to the REQ Store and find the REQ Pack you would like to buy and gift. (Make sure it’s “GIFTABLE” – note that this currently only applies to Gold Packs). 3. Pick the person you'd like to send it to (from your Friend's List, Company, or Recent Players). 4. Confirm the details of your gift – make sure it's setup to go to the right person. Note that the recipient will receive an automated Xbox Live message from you. If it looks correct, select "Confirm." 5. The Gold Pack will be gifted to the recipient and you'll receive a confirmation that your gift has been sent. You'll also have an option to send a personalized message to the recipient as a follow-up. The recipient of your REQ Pack Gift will receive an automated message via Xbox Live. What if I want to buy a stack of Gold Packs? When you buy more than one Gold Pack at a time, all of your packs will show up in your inventory just as they always have in the past. Except now, when you navigate to your Requisitions you'll see that these recently purchased packs are flagged as GIFTABLE. You can select each pack and then decide who to gift it to in the same manner as noted above (or open it yourself). 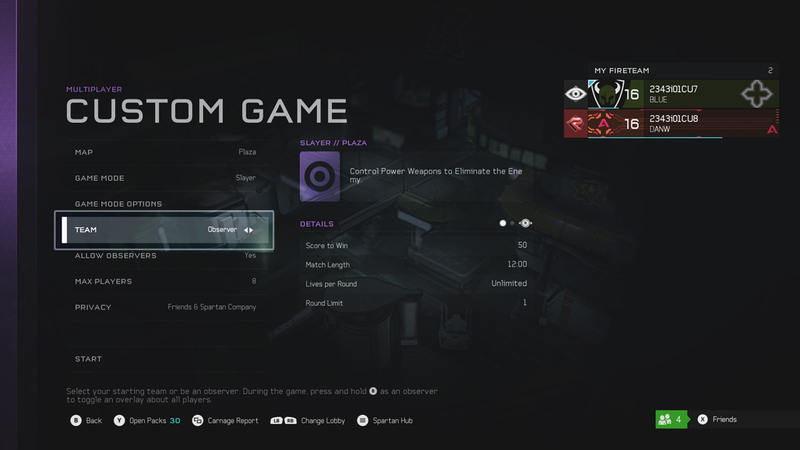 We hope you'll enjoy this handy new feature and have fun spreading the Gold Gift Pack love across the Halo 5 community! Halo 5's Arena playlists are getting some big updates on Dec. 8 and you check out all the details of the new "Social Skirmish" and the full scope of changes in the Monitor's Bounty Arena Update and Warzone Update here on Waypoint. It’s Friday! You know the drill. Climb aboard and fasten your safety belts as I take the wheel for a second lap with the Halo Community Update! 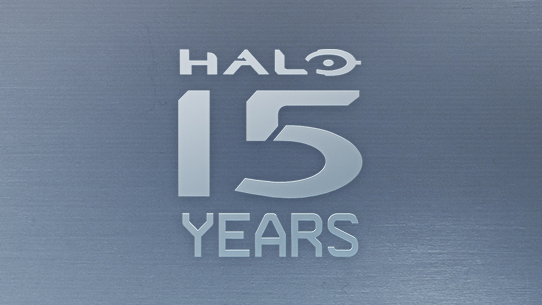 This week is mostly a drive down memory lane with a heaping helping of nostalgia as we reflect on Halo 2 and look ahead to the upcoming 15th anniversary of the entire Halo franchise next Tuesday, Nov. 15.